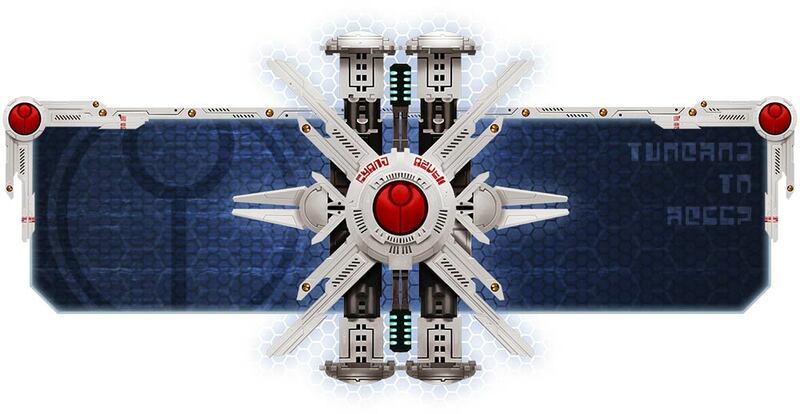 Today we discuss some of the best reconnaissance the T’au Empire has to offer, Pathfinder Teams. Highly regarding by every caste, Pathfinder Teams operate ahead of the main T’au forces, gathering information and scouting out key enemy positions. The Pathfinder’s role is not to engage the enemy, but rather to provide vital intelligence as to make the rest of their forces more efficient and potent. Because they operate so closely to the enemy, their lives are always in danger, especially since they are not protected by any battlesuits or stealth field generators. It is common for Pathfinder Teams to sacrifice their lives for the Greater Good by fulfilling some dangerous mission, which is exactly what any self-respecting member of the T’au Empire would do. On the tabletop, Pathfinder Teams consist of at least 5 but up to 10 Pathfinder models. A unit of Pathfinders is a Fast Attack choice. Pathfinder Teams have the option to be accompanied by 2 Tactical Drones and/or an MB3 Recon Drone and up to 2 of the following: MV31 Pulse Accelerator Drone and/or MV33 Grav-Inhibitor Drone. Each Pathfinder (and Shas’ui) is equipped with a markerlight, pulse carbine, and photon grenades. The Shas’ui may take a Pulse Pistol. 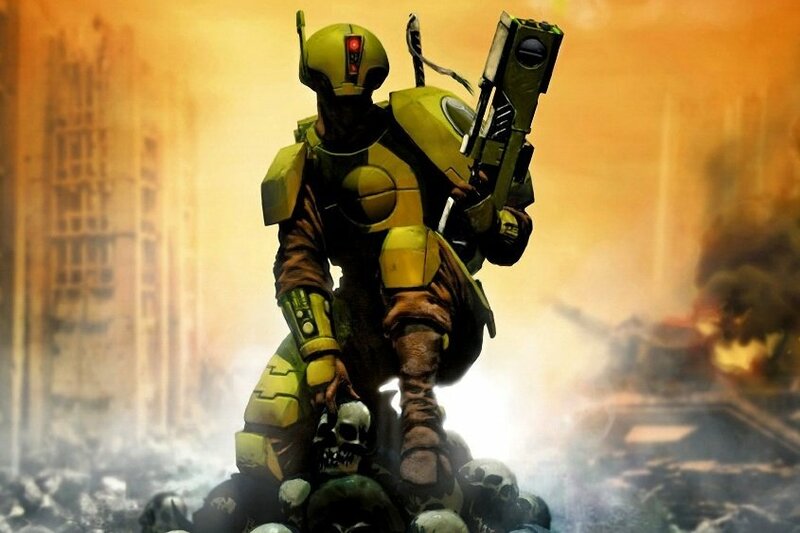 Up to three Pathfinders may replace their markerlight and pulse carbine with an ion rifle or a rail rifle. Allows units within 6″ of a charged unit to fire overwatch as if they were the target of the charge, at the cost of not being able to fire overwatch again that turn. If within 3″ of a T’au sept <Infantry> or <Battlesuit> unit when that unit is wounded by an enemy attack, roll a D6. On a 2+ that wound is transferred to the unit of Drones and the damage is changed to a single mortal wound instead of the normal damage. These drones are deployed along with the Ghostkeel. After deployed, they count and act as a separate unit. Pathfinders are the T’au’s cheapest and most efficient source of markerlights, per point. Their rules fairly well reflect their fluff, in that they are a good source of of support for the rest of your forces and that they will most often die quickly. 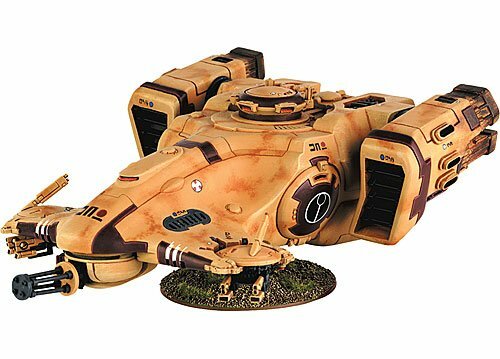 A MSU of Pathfinders is 40 points and thanks to their T’au-standard BS4+, they will net you 2-3 markerlights on average per turn. Compared to a Cadre Fireblade or Marksman, you’re getting more markerlights on average and potentially much more markerlights for your investment. It’s true that those other units do bring more to the table than just markerlights, but if you want markerlights, including Pathfinders to cover this role or at least supplement this role can be a good decision. Pathfinders don’t JUST do markerlights however. With their pre-game 7″ movement, they can be used to push forward your front line, causing your enemy to have to deal with them first before being able to reach the “meat” of your force (thank you, FAQ 2 and the changes to the <Fly> keyword). Trying to grab a quick mid-field objective is something they can do against slower enemy units, too. Plus, Pathfinders also have their carbines, which can be good with a little support to overcome their BS4+. Two shots a piece at 18″ is slightly than you’d get from Strike Teams at the same range, on top of the synergy that their markerlights bring. I’m not saying you’ll take down a ton of stuff with an unsupported Pathfinder team firing carbines, but it’s a tool you shouldn’t forget about when you need to really focus some fire to remove something from the board or throw a few pot shots down field. Pathfinders have the choice to give up both their carbines and markerlights for either a rail rifle or ion rifle, and I think both are worth some consideration. The rail rifle has the ability to score mortal wounds on a 6 To-Wound, which can be improved by things like Darkstrider and Focused Fire, to potentially get a mortal wound on a 4+. While those are non-insignificant hoops to jump through for a single mortal wound chance, the S6 lends itself to wound things like Knights on a 4+ in this situation, which is pretty good when you consider that a MSU pathfinder unit with 3 rail rifles is around 80 points. If you’re going to be brining T’au sept, you might also be bringing Darkstrider so it’s not really that much of a big deal or additional point cost. The ion rifles have the higher strength between the two optional special weapons and are similar to other Ion that T’au has, with dual profiles. Ion rifles are less than half the cost of rail rifles, so even though you’re giving up the rail’s mortal wound potential, higher damage, and higher AP, you can kit out more pathfinders for less points if you’re wanting more sources of “higher than S5” weaponry. The ion and rifle rifles are decent, in a vacuum. In reality, you have to factor in the profile of the chassis that you’re putting those weapon one, which when we do, we find it a bit lacking. At just T3 and a Sv5+, Pathfinders are not going to stand up to dedicated fire. It’s a scary thought to increase the cost of a Pathfinder by ~2.5 times by taking a rail rifle, knowing that they can die immediately if your opponent wants them to. How do you get around that? For starters, you can consider a Devilfish to help protect Pathfinders 1st turn. This drastically increases their operational cost and negates their pregame movement, but will certainly give them more resiliency. Another option is a component of the Tidewall Rampart, like a shield line. This doesn’t increase their operational cost by as much as a Devilfish (you could just take a second unit of Pathfinders for the same cost, though), but it does certainly help keep your Pathfinders from taking damage directly. Whatever you put the Pathfinders in to help keep them safe, will be similar toughness to your actual heavy hitters (Riptides and Hammerheads are both T7, just like a Devilfish and Tidewall Defense Platform), so you can create a situation where you can try to deny your opponent the opportunity to select an ideal target for anti-infantry weapons (S4-6). This isn’t the best example of it, but threat/target overload is a very real tactic. Most of the time that you bring Pathfinders though, you probably won’t be equipping them with expensive weapons and thus will have no need to pay for an expensive carapace for them. As a result they are more likely to be assaulted, in which case you’ll find use for their Photon Grenades. As previously discussed, Photon Grenades can help to give several T’au units some additional resiliency through their -1 To-Hit that they confer, but against dedicated assault units, it’s usually not enough. Doesn’t hurt to try though. Apart from their markerlights, the special drones that Pathfinders get access to is the second-most popular reason people take Pathfinder Teams, in my opinion. Most notable among these drones is the Pulse Accelerator Drone, which can be coupled with the Bork’an sept to change a Fire Warrior Strike Team from shooting 30″ Rapid Fire 1 Pulse Rifles to firing 42″ Rapid Fire 1 Pulse Rifles (6″ from the drone and 6″ from Bork’an) potentially resulting in three shots per model at 21″ when factoring in a Cadre Fireblade too. This is easily attainable from deployment in most cases and is cause for much gnashing of T’au-opponent teeth. The Recon and Grav-Inhibitor Drone get a lot less screen time, as their special abilities while not bad, are not in the same league as the Pulse Accelerator Drone’s. This is namely the case because the special abilities and drones themselves are easily eliminated by just killing the drones. Once deployed, the drones become a separate unit and are directly able to be targeted. As a result, a cunning opponent will just kill off the buff-giving drones first. It’s important to know what kind of terrain you’ll be using and adjust accordingly, trying to hide your special drones behind cover, or group them up. What do I meant? Well, you can take up to five drones with Pathfinders, 2 tactical and 3 special. What can result is a unit of 5 drones (6 wounds) comprised of at least 2 shield drones (4++/5+++) which can be difficult for your opponent to remove especially if you’re able to keep them out of sight. If a large portion of your strategy revolves around the Pulse Accelerator Drone’s special ability and you can’t guarantee you can keep the single drone alive, grouping up the drones can help keep the drones on the board longer. Countering Pathfinders unit by unit is not difficult as they are so easy to kill. 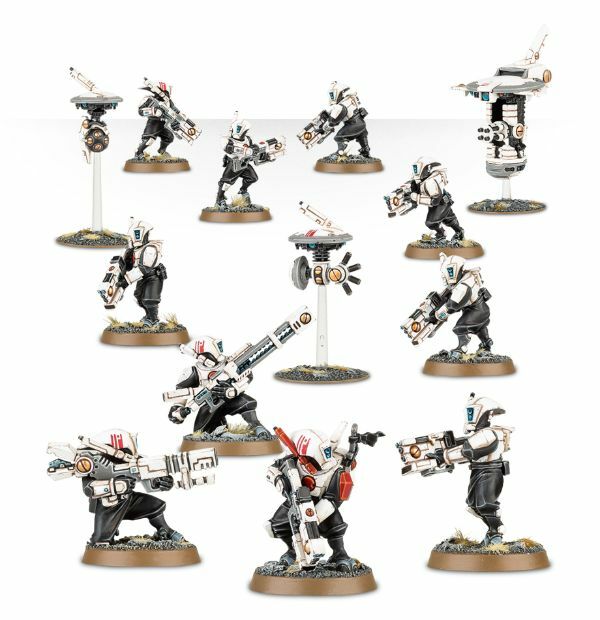 However, a good T’au player will bring multiple Pathfinder units and then additional markerlight sources for insurance. Without markerlights though, most T’au lists fall apart against a strong and competitive list. Knowing that, you can ensure that you quickly dispatch of the Pathfinder units and make the T’au player spend CP on trying to reliably get to 5 markerlights on a single target (through either rerolling misses or through Uplinked Markerlights stratagem). After taking care of the Pathfinders (and any special drones they’ve brought along, especially the Pulse Accelerator Drone), you can turn your sights to addressing the other sources of markerlights and heavy hitters. Make sure you bring weapons that don’t rely on line of sight and use those to take out Pulse Accelerator Drones with them. Failing that, you can try and position your key units out of line of sight of their Pathfinders, making them have to move to see you. As markerlights are Heavy weapons, this will result in the Pathfinders having an effective BS5+, which will help put them at a disadvantage. 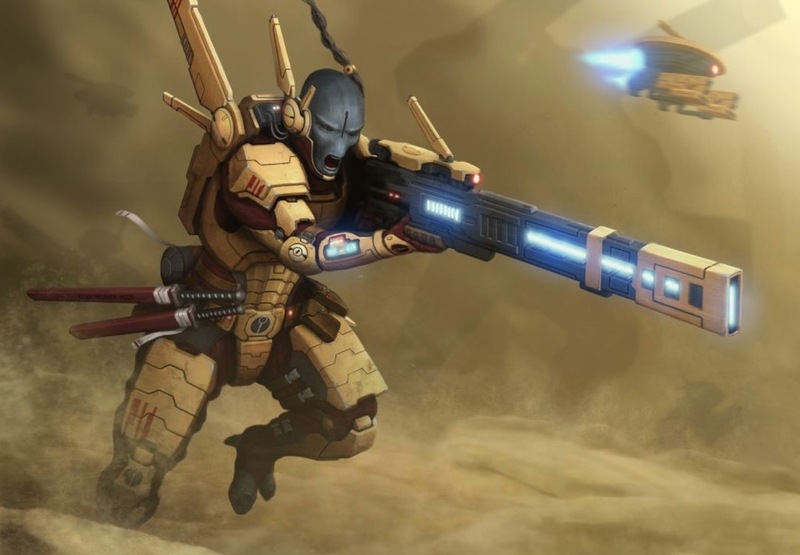 Should the T’au player bring any Pathfinders with special weapons and not adequately protect them, killing those Pathfinder units will help clear opposing points off the table quickly. I guarantee you a T’au player doesn’t want you removing their 23 point Pathfinder before it had a chance to fire its rail rifle. All in all, pathfinders can form the backbone of a strong T’au list by providing cheap markerlight support. 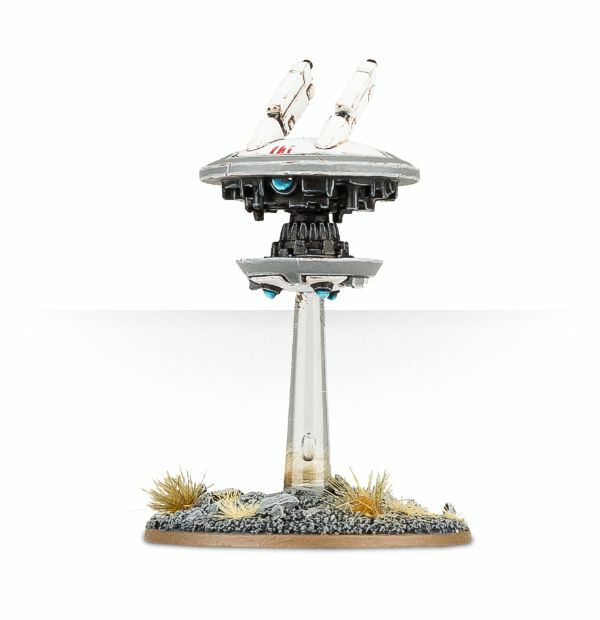 When combined with their special drones, namely the Pulse Accelerator Drone, they can make the surrounding T’au army quite scary, which fits perfectly with their fluff and general theme of T’au. They’re an efficient source of markerlights and you could do a LOT worse by choosing them. There are more protectable sources of markerlights that will stick around and those are thus more dependable, so Pathfinders aren’t the end-all, be-all, but they are absolutely worth consideration. Just don’t be miffed when they die. Do you use Pathfinders or just stick with <Character> markerlight sources?